They call it the first and last mile, an urban planning issue that has only recently crossed the threshold of collective consciousness, thanks to the ZipCar and bikeshare programs alike (Audi's "A0" doesn't count). Cliff Kuang neatly summed it up in GOOD back in 2009:You know it, intuitively. 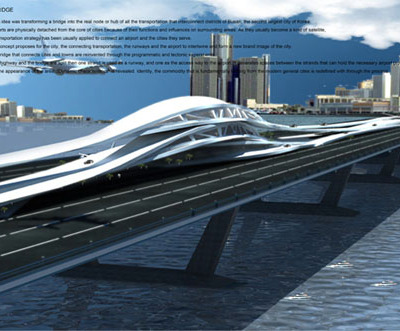 Let's say you'd like to commute on public transit. But if you live in a suburb—and ever since 2000, over half of Americans do—it's unlikely that you live close enough to a station to walk. The same problem arises once you get to your destination: You probably don't work anywhere near the closest bus or train station. Los Angeles-based Gabriel Wartofsky's "Conscious Commuter" is easily distinguished for its 'U' shape—an arc that circumscribes the 20” wheels when the bike is folded—and shaft drive. It turns out that the vaguely parabolic frame is a contortionist: the frame twists on two axes that are parallel to the frame at two attachment points, such that the wheels overlap in the middle. 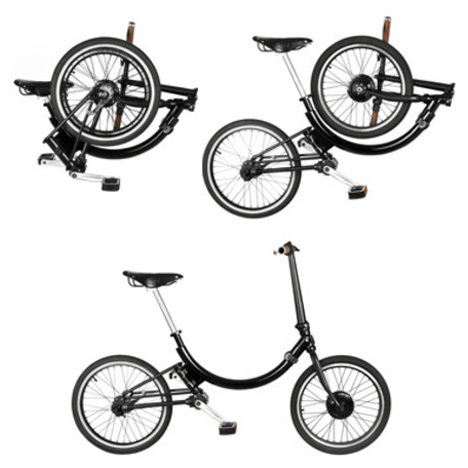 The "CMYK 2.0" folding e-bike by Manuel Saez, on the other hand, consists mostly of straight lines: the oversize aluminum tubing has a single angle at the seatstay cluster, set on appreciably smaller wheels. 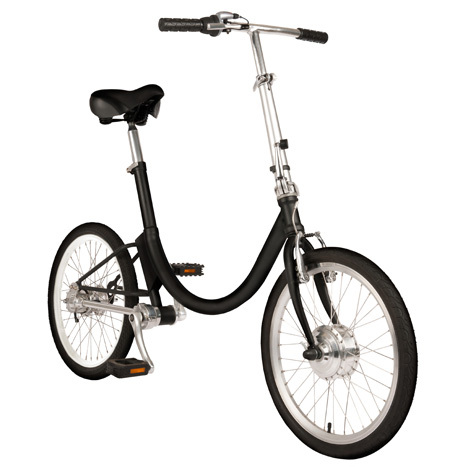 In fact, its length is fixed; the handlebars fold and the seatpost retracts in order to cut its total size in half, but the frame and wheels do not shift. This means that the basket (above the rear wheel) doesn't add much bulk at all, but the reduction in moving parts comes at the expense of its size on both accounts: the folded "CMYK" is bigger than other folding bikes (it looks like it's roughly the size of a golf bag), while the unfolded e-bike is smaller than the "Conscious Commuter," for one. While both of the designs come in at ~25 lbs, Wartofsky's clocks in at up to 5mph faster, a significant difference considering that it's a 50% increase over the CMYK's 10-12 mph. 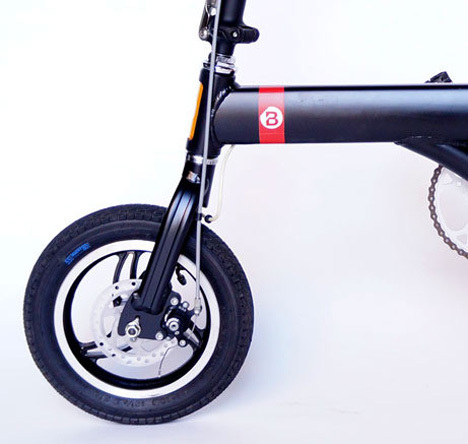 The speed, of course, is inversely proportional to the range: the CMYK's 200 Watt motor is powered by an 18V Li+ battery that provides about 50 minutes of electric assist on its full two-hour charge; Wartofsky is still optimizing the motor and battery, with the "goal to offer bikes that provide from 5–30 miles of juice, depending on motor and battery configurations you spec." 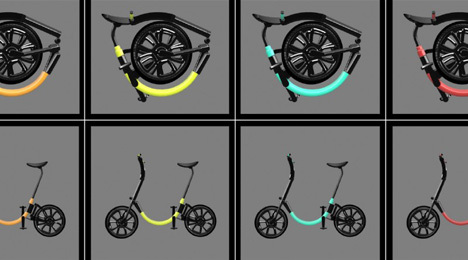 Which leads us to the question of availability: both designs date back at least a couple years—the first incarnation of "CMYK" earned a couple awards in 2009 and took home bronze in the IDSA IDEAwards the following year—and have taken over a year of refinement to bring them to market. Saez is selling the bike both under his Brooklyness moniker (one guess as to where his studio is based) and through a Kickstarter campaign, for $980 and $680 respectively. He has just under four weeks to raise the remaining 80% of his $14,000 goal (considering that he's about a week into it, he's on track to succeed). Wartofsky, on the other hand, has been working on the Conscious Commuter since 2010, conducting his field testing and marketing in pace with product development as of last year. Although only 13 commuters took up Wartofsky's offer of his initial 100-bike run on Kickstarter last fall, he reached his $25,000 goal (the bikes were priced at just under $1,400 each; lower tiers of backers made up the balance of his funding). These will be available next month, presumably in time for South by Southwest, where the Conscious Commuter will be the featured bike. 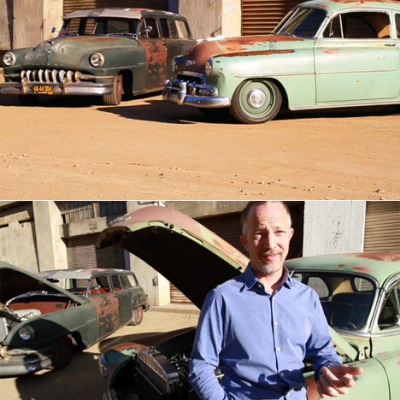 I'm not sure if the differences between the two vehicles could be construed as a classic East Coast / West Coast dichotomy, but I find the two designs to be so disparate that it's actually difficult to compare them. 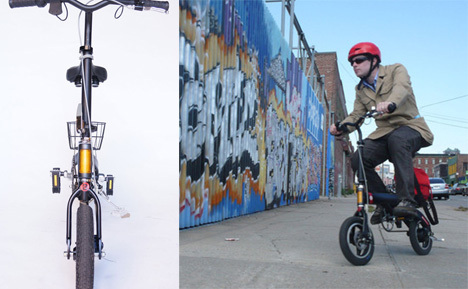 Yes, they're both folding electric bikes that are geared towards commuters—hence the size, weight and range considerations—but they differ on just about every other detail. 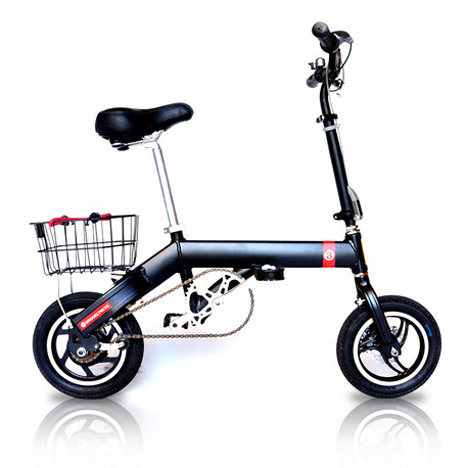 From form factor to folding mechanism, drive train to wheels, each machine has certain advantages and disadvantages that parallel those of all folding bikes, e-bikes and even bicycles as a category (even the brakes are different). 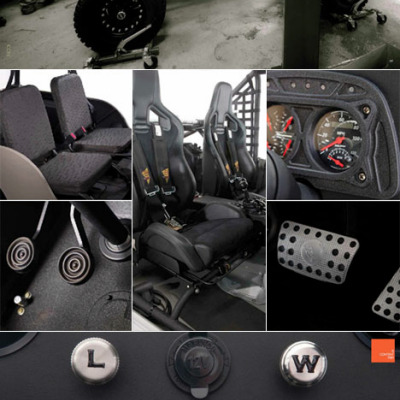 So it's ultimately more a case of 'two's a trend' than a proper side-by-side comparison. 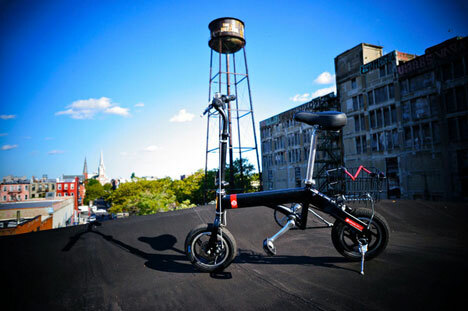 After all, longtime bike builder Tony Pereira predicted that 2012 would be the Year of the Electric Bike, and it is perhaps only appropriate that a true F&LM solution would be portable. Yet if the bicycle is readily cited as the ideal mode of transportation for the mileage that falls through the cracks of public transit, its significance is rather less obvious: Pereira, for one, noted that the electric bike should be seen not as a replacement for a bicycle but as a replacement for a car. In other words, the F&LM problem is but a symptom of the broader issue of our automobile-dominated transportation culture: a car is perhaps the least efficient means of covering these short distances, yet it remains the default. The very fact that conscientious commuters have more choices now than ever before is only the first step towards a cleaner, greener future. » IDEO × Rock Lobster's "Faraday"
One issue is that we Americans tend to think of bikes as either toys or precious - whereas everywhere else in the world they are tools. Toys don't get worked into transportation plans, and precious objects can't be left in the rain, or left behind while we grab another one. Hopefully bike share will help cure us of this. 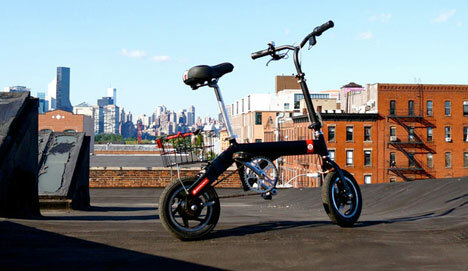 UPDATE: CMYK Folding Electric Bike TEST-RIDE: Sunday 4th of March at the entrance of the East River State Park - Kent Avenue & N 8 St - in Williamsburg, Brooklyn! The test will be from 4pm to 5pm. See you there! BIG THANKS! 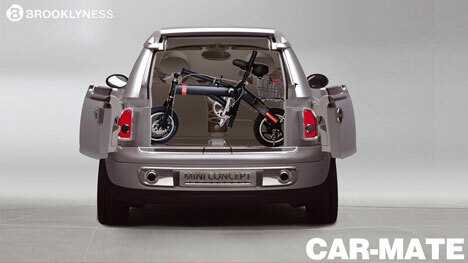 Like everything about the "Conscious Commuter" . 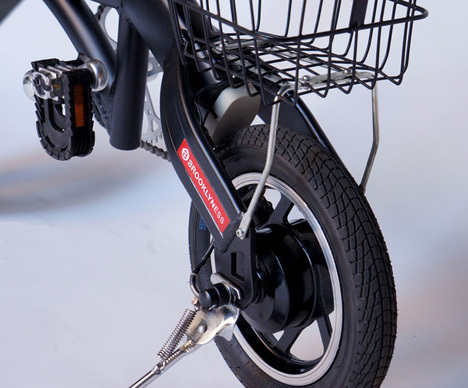 I think there would be a great market in the Northeast and would seriously consider selling them in our e-bike store. I agree, Jake. I saw somewhere in East Asian cities people ride one bike to the train station, ride the train, and then ride a second bike to work. There is a person who watches over the bikes at each end. I think this would require quite a shift in our American mindset. Dan, I agree. 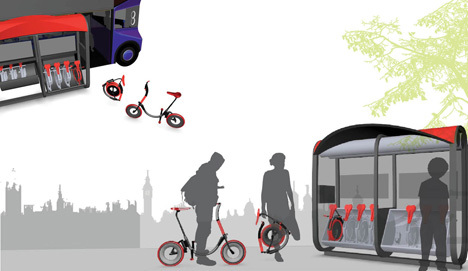 Bikes themselves don't really need to be re-designed. A better solution might be to have better facilities at train stations for keeping bikes safe, eliminating the risk of it being stolen. 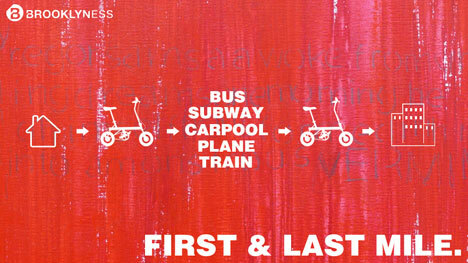 Maybe even a bike lending program if you have to commute for the "last mile" after you ride the train. I think I will stick to a regular bike design though. 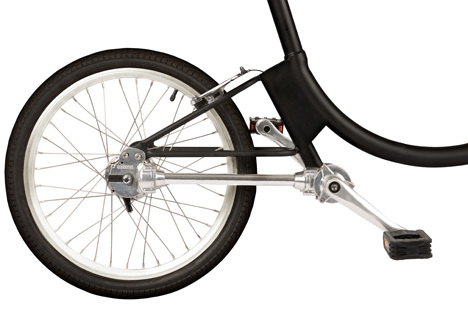 Great ideas, but I don't know if you can actually reinvent the bike. 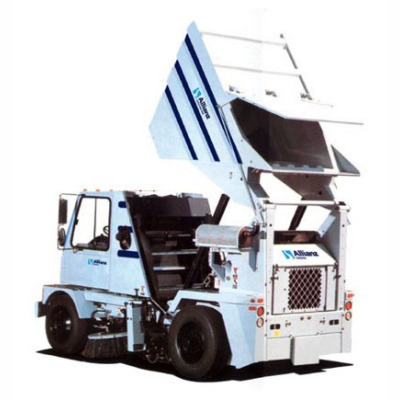 The Design of the NYC Street Sweeper, and the Must-See "Street Cleaner Waltz"